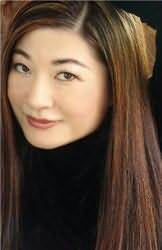 Kailin Gow is one of the most interactive and busiest authors in YA today. She is the bestselling author of over 68 distinct books including the Wicked Woods Series, Bitter Frost Series and PULSE series, which is being made into a film. The Frost Series has been optioned for a major motion picture. Her other young adult book series, Stoker Sisters, is being made into a web/television series. She has appeared on over 100 radio shows and will appear on ABC, NBC, CBS, and Fox television in 2011 along with the top 15 radio shows in the United States. Besides being a full-time writer, she is a professional blogger/reviewer for publications like Huffington Post, where she is always looking for good guest bloggers.